Need a new or fresh look for your home? 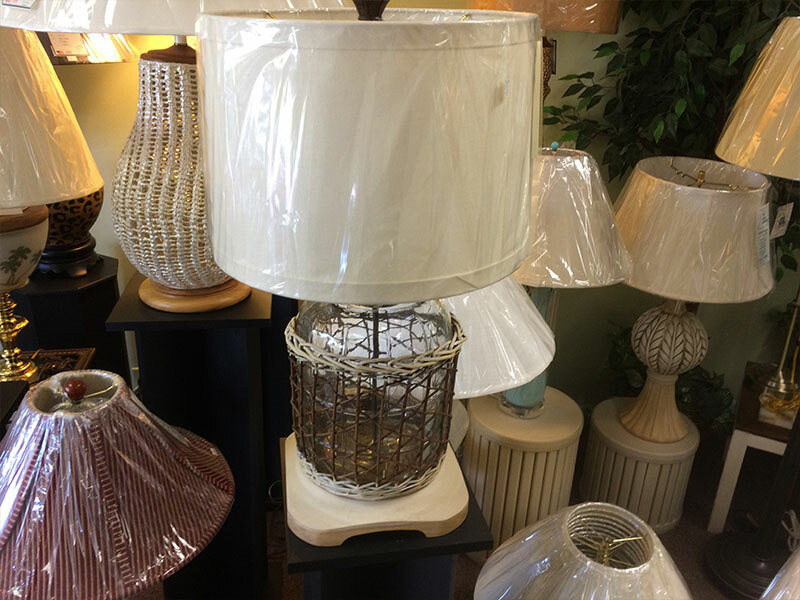 Consider new lampshades, a new lamp, or both! 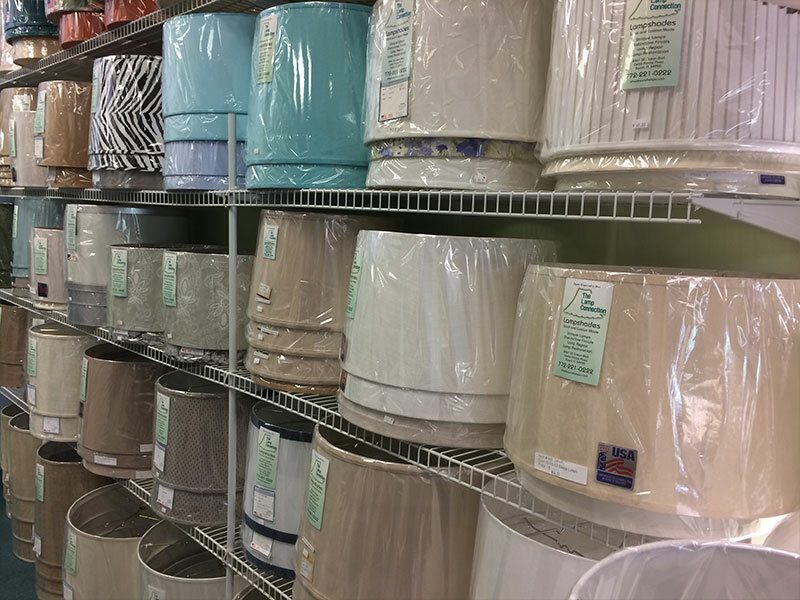 You’ll be amazed at how a new lampshade or lamp can change the look of a room, and it’s one of the most inexpensive ways to do it! Come down to The Lamp Connection in Stuart, FL. 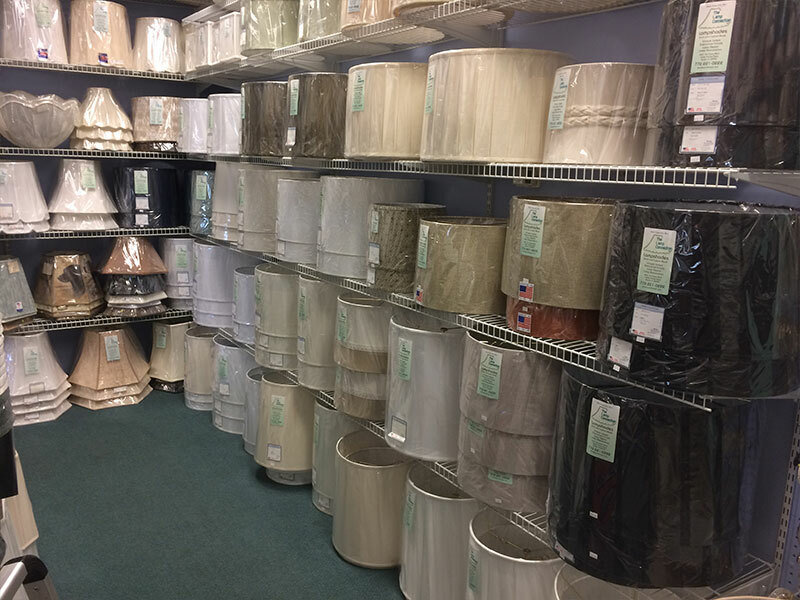 Owner Arlene Lagana or one of our many qualified sales associates will help you choose a lampshade of just the right fabric, color, and shape, and then professionally fit it to your lamp. 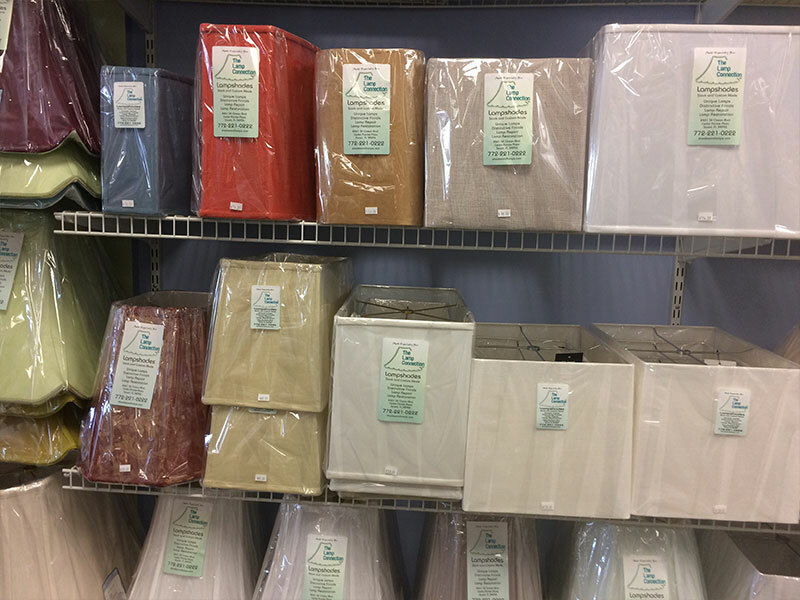 If one of the thousands of shades in stock doesn’t fit the bill, then we can help you build a custom shade from an infinite array of possibilities. 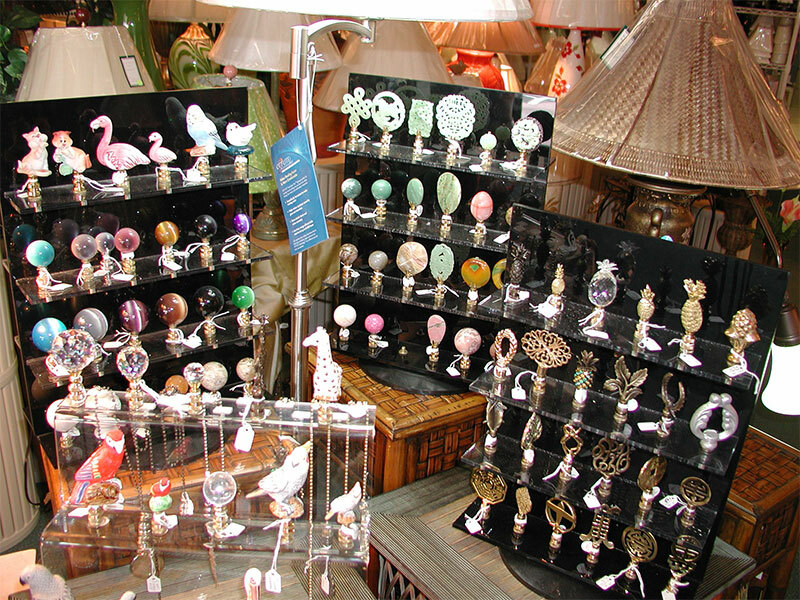 To top it all off, browse through the 1000+ finials we have in stock. 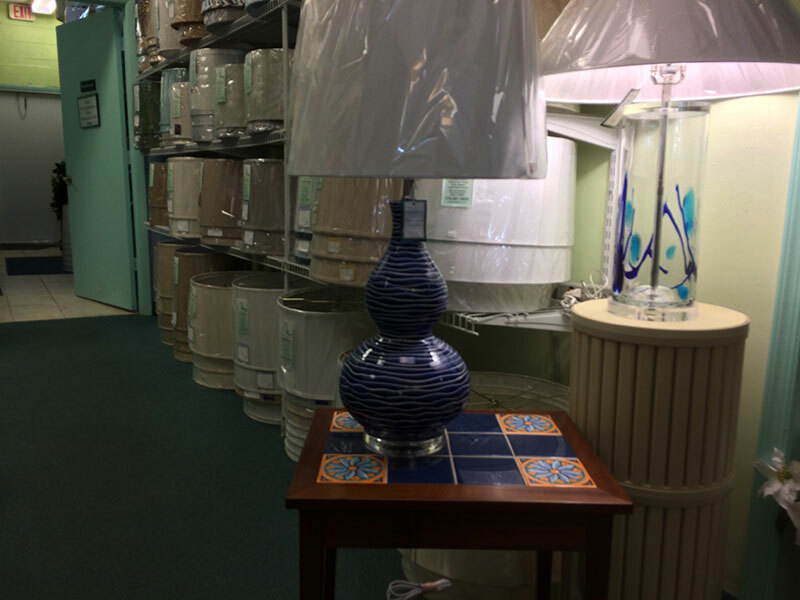 The team at The Lamp Connection will make it easy to take your lamps and lighting from ho-hum to spectacular. 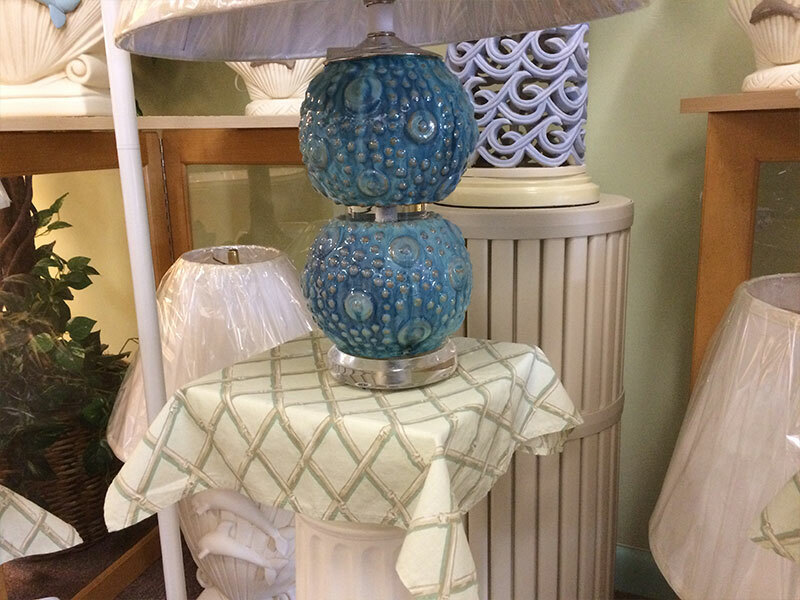 Customizing a look just for you is one of the things that The Lamp Connection does best. Arlene and the rest of our staff consult with you to bring your ideas to life. 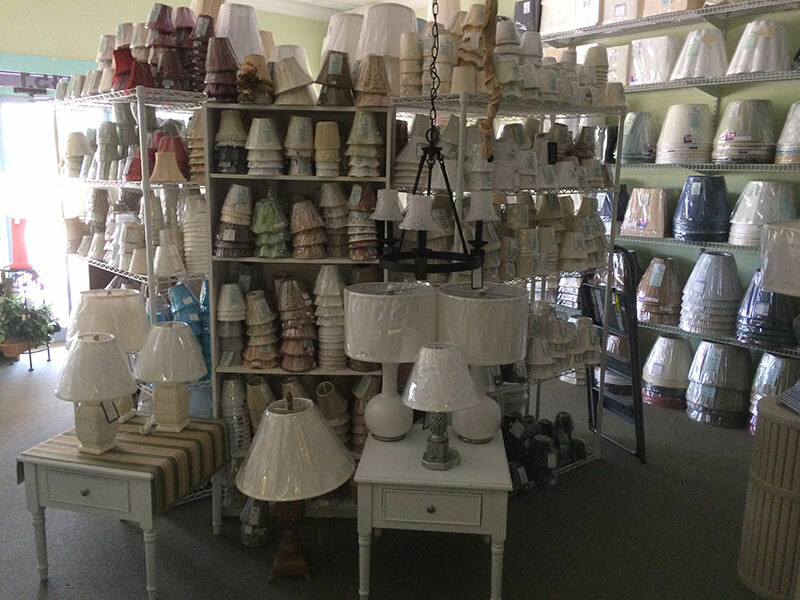 Our store has a look for everyone, and you’ll be amazed by our floor-to-ceiling shelves of shades and lamps. 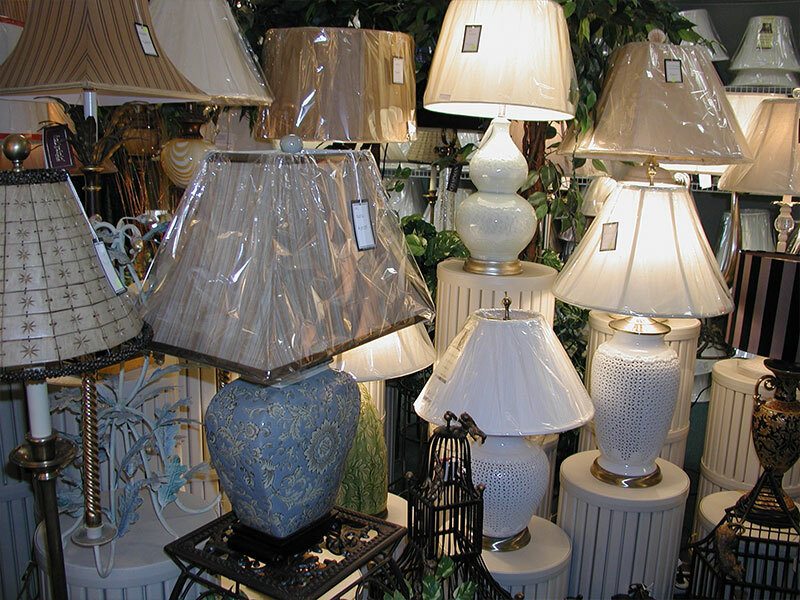 Bring in a family heirloom or collectable and have it turned into a lamp. Bring in material for a custom-made shade. 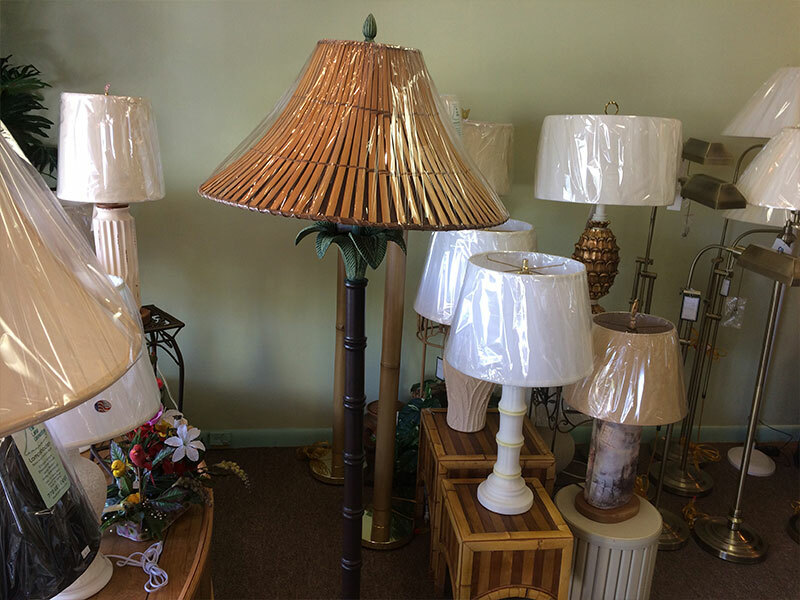 Like a candy store, The Lamp Connection has a flavor for every taste and budget, Including shades made from silk, wicker, rattan, designer fabrics, seagrass, and more, with pleats, scallops, flutes, beads, and trim. The shades come in squares, ovals, rectangles, drums, bells, and hexagons. 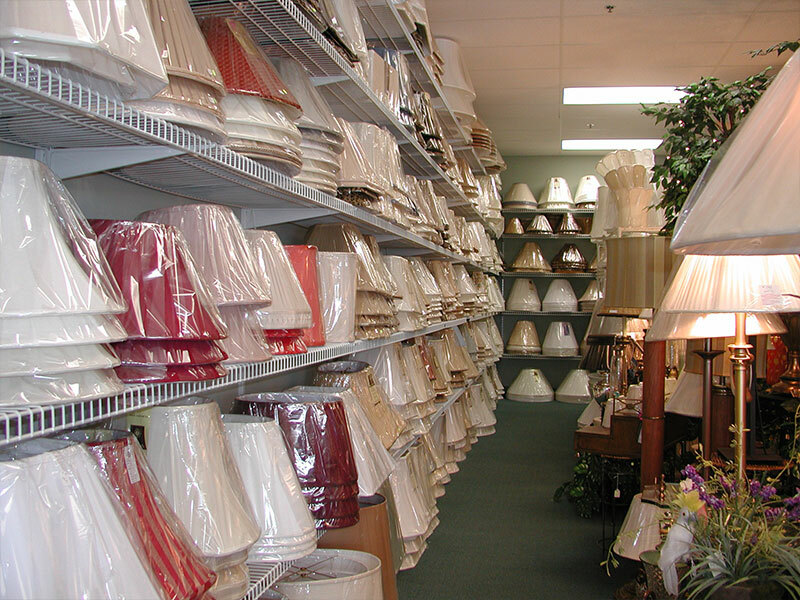 The Lamp Connection showroom also carries more than 1,500 chandelier shades, a complimentary selection of accent furniture, wall décor, and pedestals, as well as a unique offering of table lamps, floor lamps, and mini lamps. 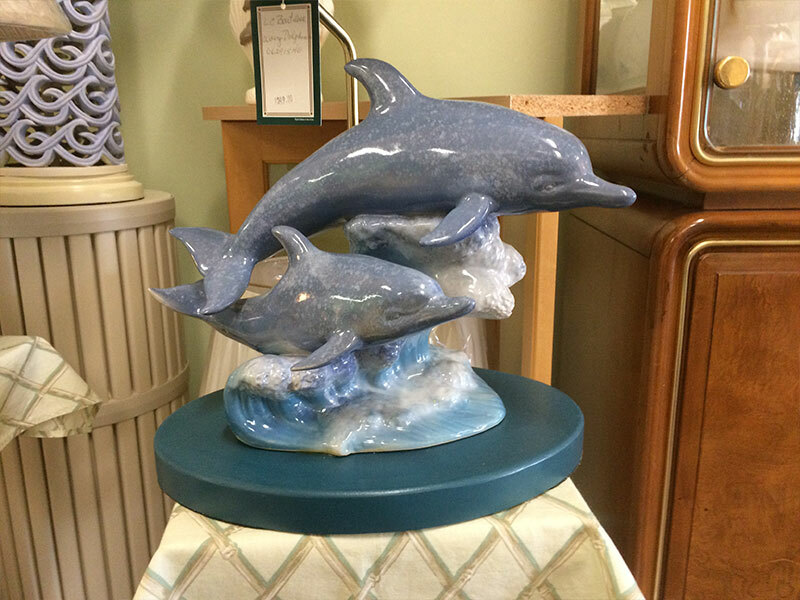 For a finishing touch to your lamp, top it off with one of The Lamp Connection’s impressive selection of finials. Browse the beautiful array of blown glass from Italy, oriental brass, nautical designs, and more in every imaginable shape and color. The store can also convert most finials for use as a ceiling fan pull as well. 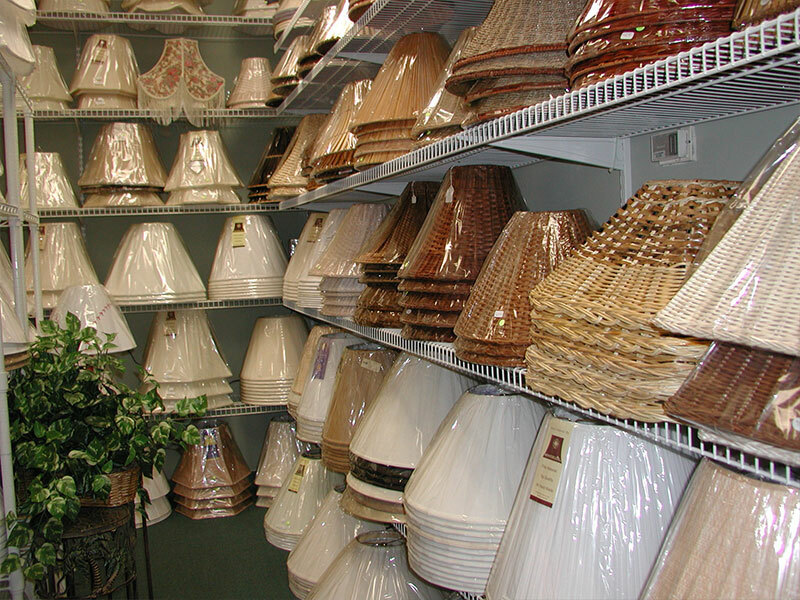 To round out the services you can enjoy at The Lamp Connection, we offer expert repair and restoration work. 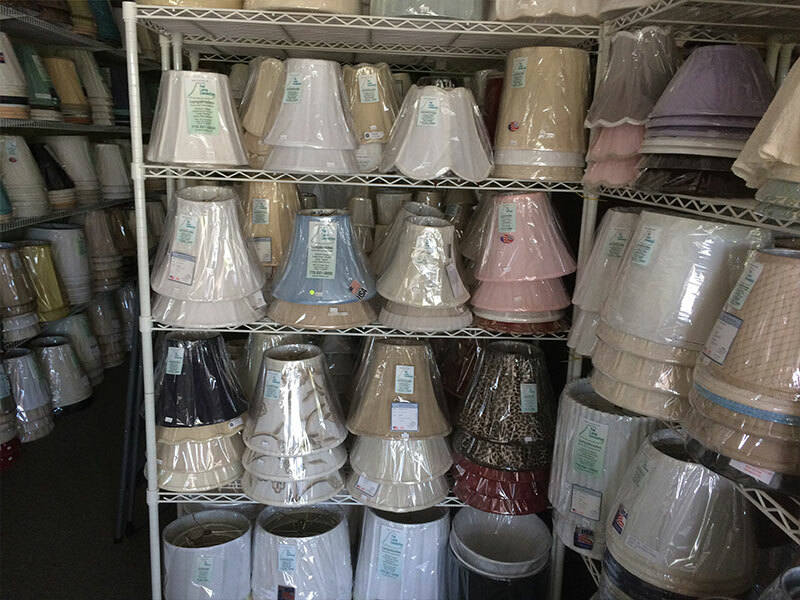 You can bring in your tired and broken lamps and our technicians and artisans at The Lamp Connection will rewire, repair, or restore them. Known for good old-fashioned service Arlene and the rest of our staff enjoy working with both design professionals and end users, and we can ship your purchases anywhere in the world. 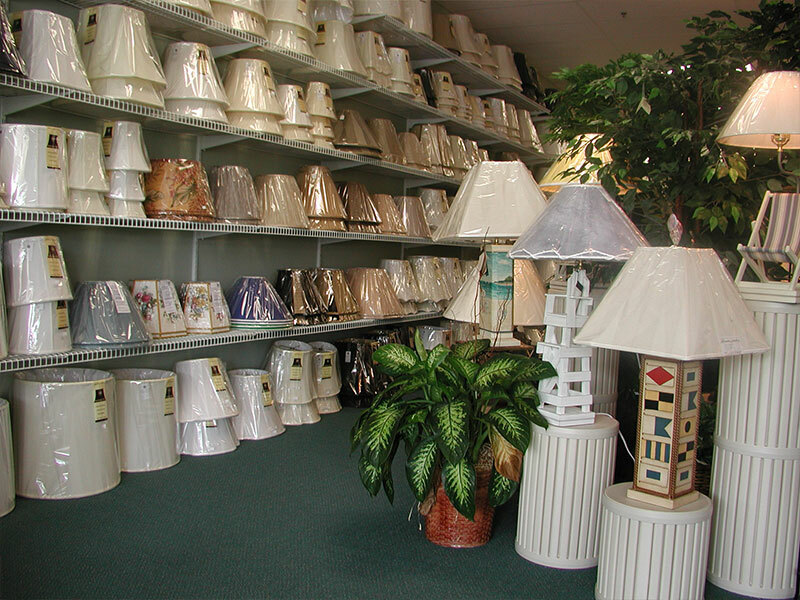 The one request we make of all our customers is to bring in the lamp when coming in for a shade. 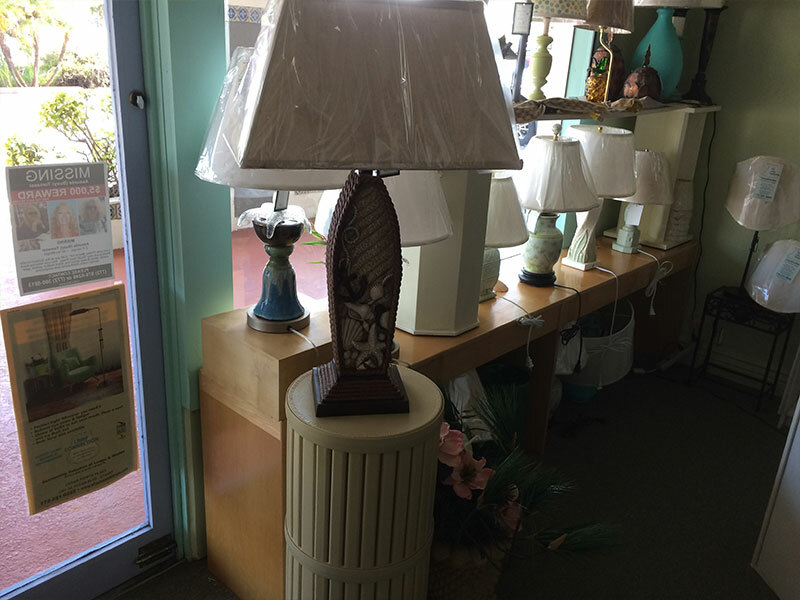 Having the lamp makes it possible to fit the shade and finial for the best overall look. 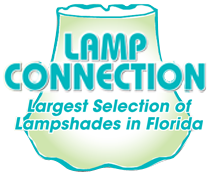 The Lamp Connection is located in Cedar Pointe Plaza at 2461 SE Ocean Blvd, Stuart, FL. Hours are 10 am to 5 pm Monday through Saturday. For more information, call (772) 221-0222.